OUR PRICE: $34.85 - Join Rewards Get $3 Dance Dollars On This Item! The sizing said to order your child's shoe size. My daughter takes a 1 so I ordered a 1and1/2 for room to grow.. Way too small!. Her toe was tight in the end of the jazz shoe. If I were to re-order, i would order a a size to a size and a half size bigger. Bugs me that I have to pay return shipping for shoes that are NOT sized correctly! My daughter is 11.5 in normal shoes. I ordered 11.5M and they fit her right on the dot, which is considered too small. I am getting a refund but I did re-order for a bigger size (13W) because I did like the jazz shoes. 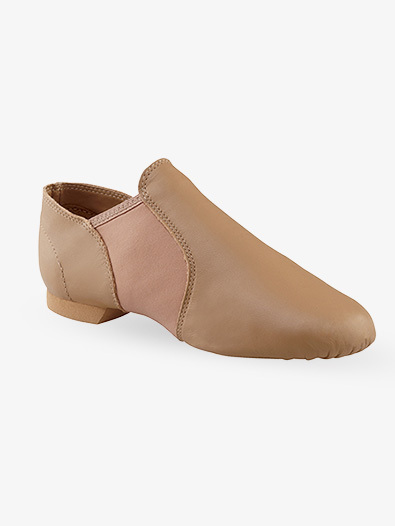 This review is a little preliminary as we haven't started jazz classes yet, but I needed a lace-free jazz shoe for my narrow-footed dancer. The local stores didn't have any that fit her width, and I couldn't find a reasonably priced narrow shoe! But I ordered a pair of these in her normal street size, and the length and width are perfect. 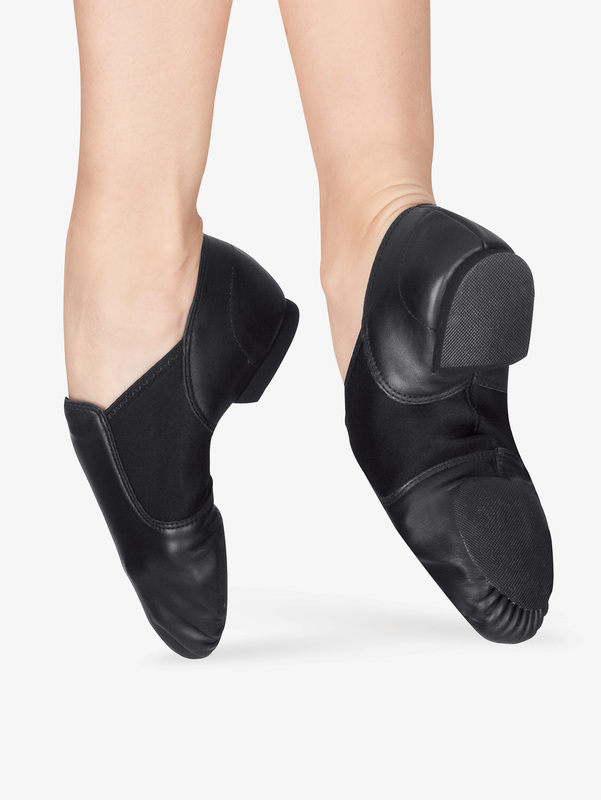 The standard size is definitely a good shoe if your dancer has narrow feet, but if they are average to borderline-wide feet, I would recommend either the wide width or a different style shoe. It has a very plastic feel but it's just fine for the beginner. Capezio is a trusted brand. My daughter wears a 12.5 street shoe so I ordered a 13. It's a whole size too small. We will order another pair in a larger size and also going to try the wide instead of the M. This size looks on the narrow side. How do these RUN? Big? Small? if so how big or how small? According to Capezio, this shoe runs true to size.